Loved this new Scottish Gin!! "We were lucky enough to be invited to a tasting session of Kinrara Distillery tester recipes, the Highland Dry Gin was amazing. Classic dry gin with lovely floral notes and an orange finish, delicious!" 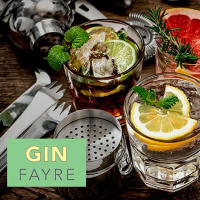 "I tried this last night at a preview event and it was sensational, a brilliant addition to the Scottish gin scene"
"Tried the Highland Dry with Mediterranean Fever-tree tonic and a slice of orange peel, as suggested by Stuart, AMAZING!" "The home of hand-crafted Highland spirits"